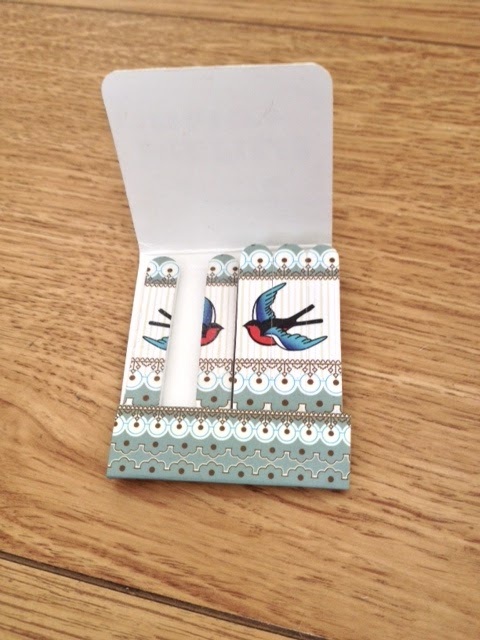 This month I have not been leaving the house without these Mini Swallow Nail Files from DotComGiftShop. I think they are so pretty and are an absolute godsend when you break a nail when you are out and about. They were a bargain as well at £1, which makes me love them even more! The Body Shop Vitamin E Overnight Serum is a really light, non-greasy oil, and with only a few drops before bed you are guaranteed to wake up with radiant skin and the appearance of 8 hours of blissful beauty sleep. If there was an award for world's worst sleeper, it would definitely go to me as I rarely get a full 8 hours or wake up feeling refreshed. This has been perfect in making my skin look a lot healthier and for that, I'm a lot happier! The Catwalk Haute Iron Spray is something my hairdresser always uses on me and I just had to buy. A mist of this before using heat not only provides heat protection but also leaves your hair looking so shiny and healthy. I've never had so many people complimenting me on the condition of my hair before! 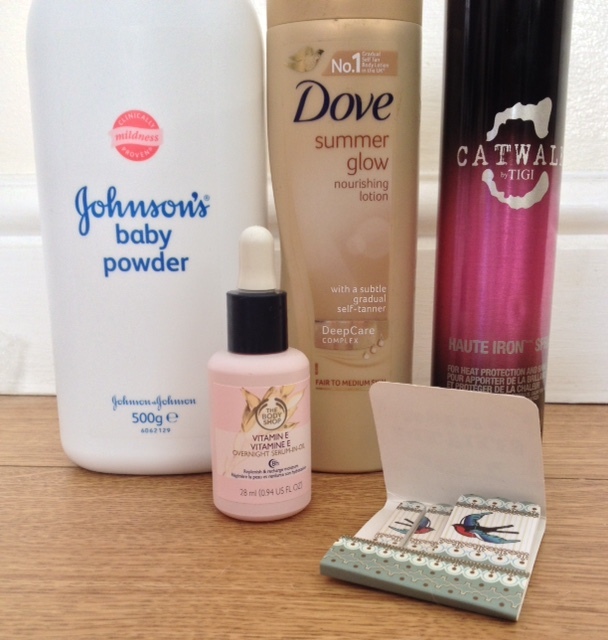 The Dove Summer Glow Nourishing Lotion has been preparing my skin for the summer months. I am literally Casper the Friendly Ghost, and I don't really suit a full on tan, but this is perfect to give me the subtle radiant glow I like. I haven't really experienced any streaks with this (only on my feet and hands but that is my own fault) and have noticed a difference after applying this for only 2 or 3 days. It does smell very biscuity but I think this is the perfect buildable glow and really moisturising at the same time. 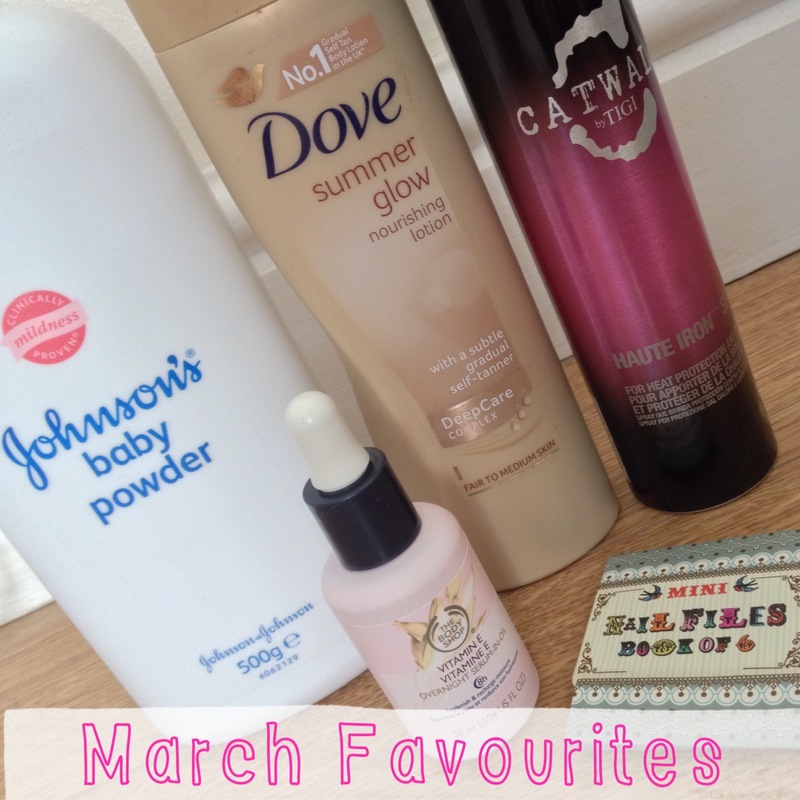 Johnson's Baby Powder has been an absolute treat for my skin after I've had a shower or bath. I use this after drying off because I've found that my skin has been really itchy and sore whenever I have just been in the shower, and this not only smells dreamy but is great for soothing skin and ensuring smooth silky skin. After using this I find that my body moisturiser applies so much better. Those nail files are adorable! I tried the vitamin e serum but it was too oily for my skin type. I really wish I could use it as everyone seems to love it! NEED to try the vitamin e serum !!!! I need this serum asap!